Today I'm featuring some of my favorite authors from when I was a child whose books have been challenged/banned in the past. Luckily, I have parents who believe in intellectual freedom so I was never prevented from reading these wonderful authors. Unfortunately, in some places, children are prevented from reading them. Censors don't want children exposed to ideas different from their own. If every individual with an agenda had his/her way, the shelves in the school library would be close to empty. I wish the censors could read the letters kids write. I don't know where I stand in the world. I don't know who I am. That's why I read, to find myself. “Wrinkle” has been one of the most banned books in the United States, accused by religious conservatives of offering an inaccurate portrayal of God and nurturing in the young an unholy belief in myth and fantasy. We miss you Ms. L'Engle...may you rest in peace. 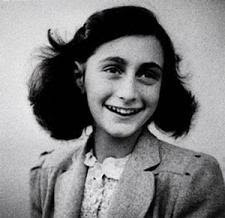 The Diary of Anne Frank was a book I was very passionate about when I was a girl. I admired her courage and her passion for books and writing. When I heard that her book has been challenged in the past, I was shocked. What about this book could be questionable? Perhaps most shocking is the reason the book has been challenged/banned...too depressing! Are they kidding me? I hope you will take a moment to recognize these wonderful authors and their spectacular works of art. Please encourage your children to read them (at the appropriate age) and read them yourself, if you haven't yet. Oh how I loved Judy Blume growing up :) Some people must have rocks in their heads to think that her books should be banned!!! I loved The Diary of Anne Frank too. I think most of the banned books I loved at some time in my life, and I'm definitely proud of that fact. Sadly people are stupid. 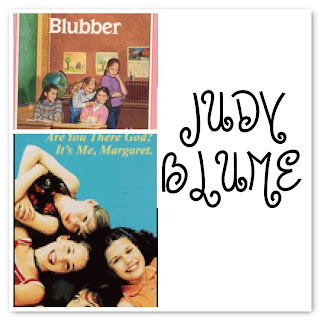 I did love Judy Blume. Luckily no one cared what I read so I was able to read to my heart's content. I guess we were lucky to have parents that didn't think it was bad to know about the facts of life or that life can be depressing sometimes! Can you imagine being kept from reading what you wanted...oh, the horror! Judy Blume didn't appeal to me as a kid and still doesn't but I don't believe her books (or any books) should be banned.